Having recently performed at the Izod Center this past May, the boys of One Direction are primed for a New Jersey comeback… next July. While 2013 might seem an impossibly long time away, summer will be here again before you can say “One Thing,” with seats selling out faster than that! That’s why we’re offering tickets now, so you’ll be prepared when everyone’s favorite Brit boy-banders fly in for their encore performance. Click here for One Direction at the Izod Center 2013 Tickets! Even if next July is no good, you can still catch One Direction live on tour. We’ve also included ticket links to the group’s neighboring New York performances, at the Nikon at Jones Beach Theater June 28 and 29. 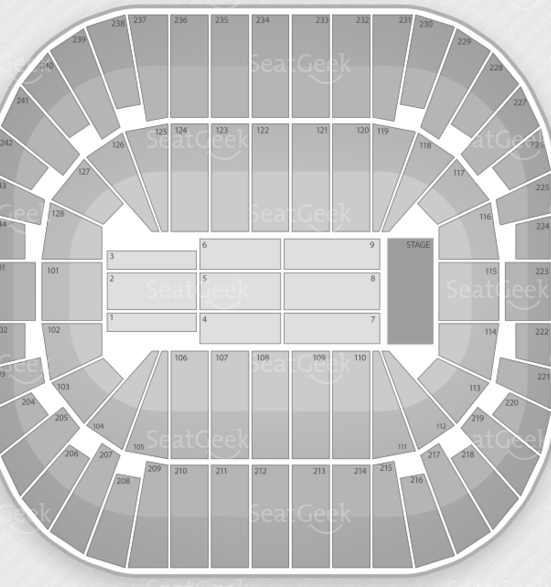 Click here for NY options, or keep scrolling for more info on One Direction at the Izod Center. Perhaps the Izod’s Center biggest claim to fame (in addition to hosting One Direction concerts, that is) is its sports arena, which formerly housed the New Jersey Nets, before the basketball team became the Brooklyn Nets and moved to NYC’s Barclays Center. Fordham men’s basketball games have now taken over, joining indoor soccer, roller hockey and football matches. The venue’s concert pedigree isn’t too shabby, either: Springsteen, The Rolling Stones, Kiss, The Red Hot Chili Peppers, Prince, and Queen – who performed their final show on the Izod Center stage – have all sold out the hall’s 20,000 seats.